A promise to set the world free. The day before Thanksgiving I went to a farmer’s market in Los Angeles where I was assailed by a Viet Nam vet. “You want to know about war? I’ll show you war! I’ve had two shoulder operations, three knee operations, seven operations on my back, and spent a year and a half in a coma,” he said, while giving me a visual tour of his wounds. On Thanksgiving, Iris and I wrote this song, which we recorded with many of our singer and musician friends. 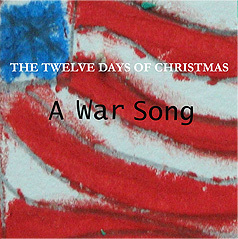 The song is an illumination of the sorrow of war. It is a step towards shifting global consciousness.